If your child is under 24 months, they would be one of our ducklings. 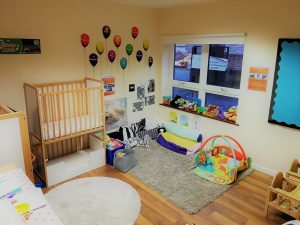 Adapted to meet the needs of our youngest children the room has a homely and family feel in secure environment to explore and develop through the first stages of life. Our staff build strong bonds with babies, ensuring there is regular honest consultation with parents to enable home routines and preferences to be maintained. They are committed to the happiness and wellbeing of your baby, providing daily entries to your baby’s personal diary to keep you up to date on progress and milestones. We pride ourselves in tailoring a development plan to your baby, with a great selection of toys and activities, we are sure they will flourish during their time with us. Around the age of 2, if the child is ready, they progress to the Ducks’ room. At this age children really start to understand building positive relationships and socialising with other children, so the transition is carefully planned if your child was one of our Ducklings. 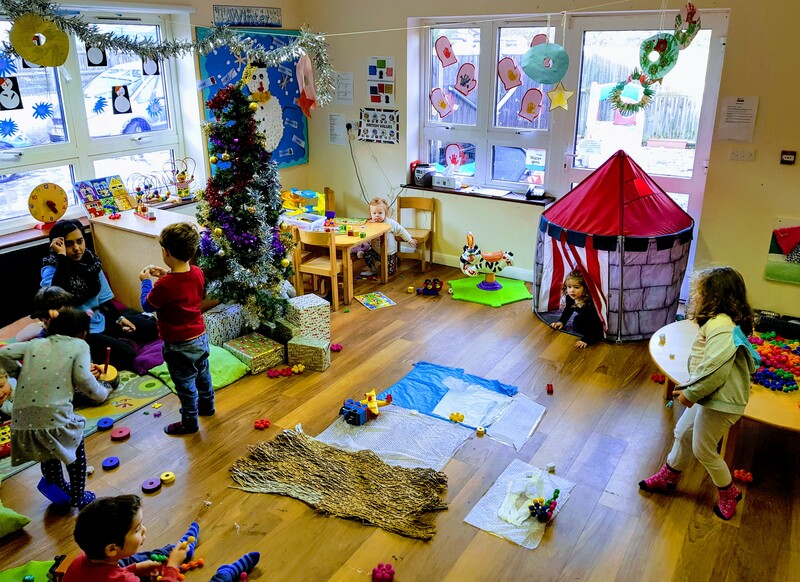 Whilst retaining a fun and healthy environment, through strong bonds with children and adults alike, your child will really develop their language skills and key social interactions. The room is specially designed to give the children more choice and develop their ability to make informed decisions. With key milestones such as sharing and forgiveness, the room has stacks of toys and activities that encourage positive behaviours. This room has direct access to the secure soft outdoor play area, indoor wet/sand play area, reading zones and much more. Key milestones that the Ducks’ are encouraged to work towards are pattern and number development, dressing up, sharing and eating independently. Group singing & story time are always a favourite for the children and everyone loves taking part. Staff will always keep you informed and involved in your child’s development. When starting school, a child’s confidence and skills are key to a great start to school life. The room is bright and lively with displays of the children’s work all around, helping them feel they are contributing to the nursery environment and build those skills. 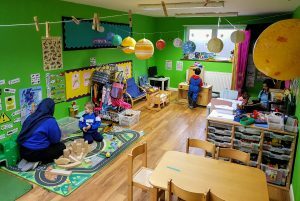 Designed to encourage independent development, the room has numerous activity zones – ensuring the children are ever occupied learning in a fun way. Starting with growing the seeds in small pots, to planting them in the raised garden beds, the Swans are the proud owners of the nurseries fruit and vegetable supply! Learning to look after the plants and care for them over time is a key learning and hopefully they will be bringing home some of their fresh produce before you know it. There is an ever-changing range of toys and tools to help the children fully develop both emotional and physical characteristics. Puddleducks provides more than just day care- we offer a full pre-school curriculum.